Join Scrooge McDuck in an epic adventure across the world to discover the five Legendary Treasures! Embark on a journey to the Himalayas, Amazon, Transylvania, African mines, and Moon using Scrooge’s secret map. But watch out for the evil sorceress Magica De Spell and notorious Beagle Boys – they’re on a quest to steal Scrooge’s fortune and will stop at nothing. 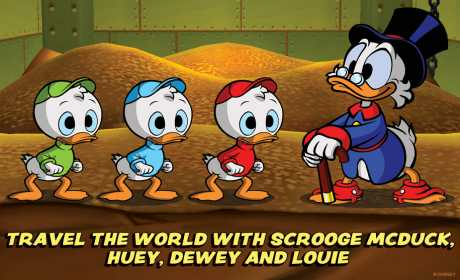 He may have to risk it all to save his nephews, Huey, Dewey and Louie, but not without epic boss fights along the way! 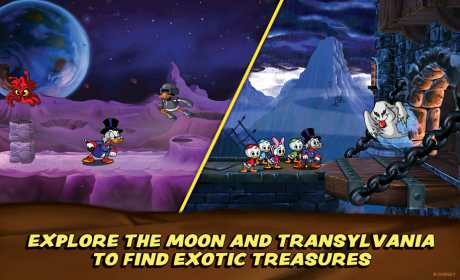 Hold on to your top hat and play as Scrooge McDuck as you travel to the far corners of the world! DuckTales: Remastered retains the authenticity of its 8-bit predecessor and features an expanded story with all new, improved graphics. DuckTales fans can relive the classic TV series from the 1980’s, complete with the original voice-actors and exclusive production art from the show’s archives. 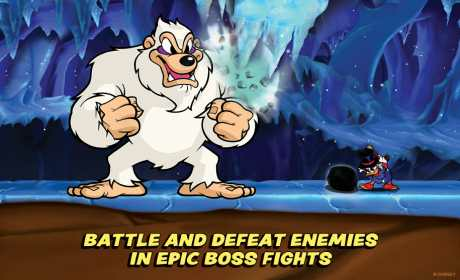 But this timeless tale is bound to spin up a new generation of fans by introducing a uniquely hand-crafted, simple and fun game for all ages.